Halloween has returned to Lush with lots of fearsome, fizzy, and frothy bath bombs, shower gels, soaps, and more to keep your suds spooky this Halloween season! 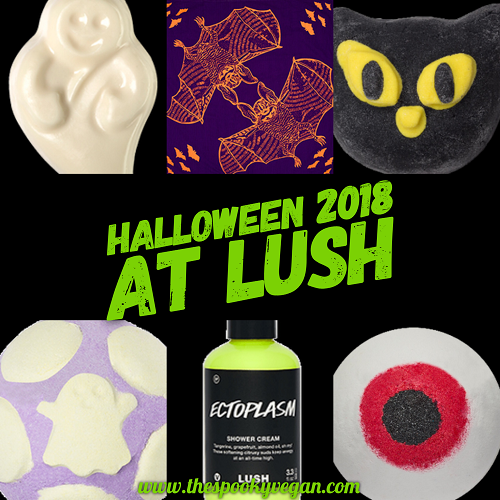 There are a few old favorites that have returned, along with some eerily exciting new products, including a neon-green ectoplasm shower gel, glow-in-the-dark ghost soap, Lord of Misrule bath bomb, pumpkin bubble bar, and more! Lush's products are always cruelty-free, and I'm happy to say their entire Halloween collection is vegan! Eyeball Bath Bomb, and Ectoplasm Jelly Bomb! I am also excited they brought back Lord of Misrule (one of my fave scents!) in bath bomb form (bummed it's not available as a shower cream, though). However, I am excited to check out the Ectoplasm Shower Cream! They also have several Halloween gift sets that would make perfect presents to your spooky someone or yourself. 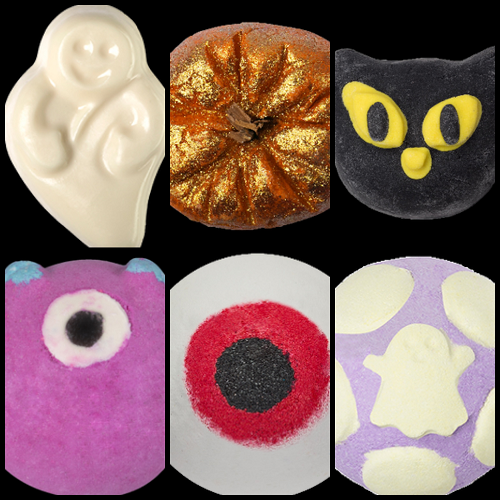 For more, you can check out all the items in the Lush Halloween 2018 collection on their website! The entire line is available now online and will be available in stores by September 20th, 2018. Note: This is not an affiliated ad post - I just really love sharing Lush's Halloween treats! I just wish there were more of them this year and that they would bring back Ghost and Lord of Misrule shower creams.